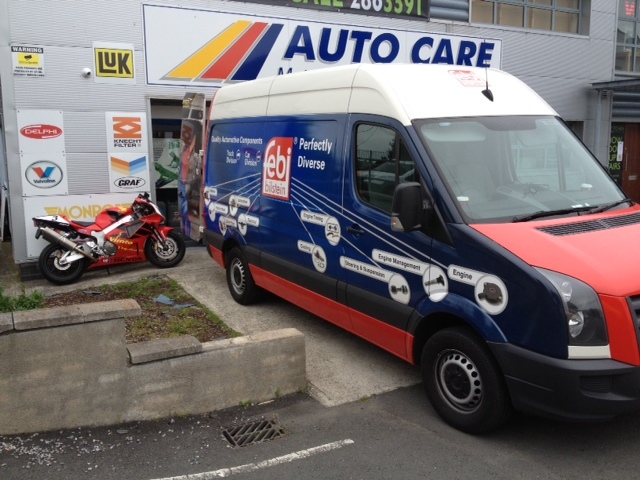 The febi van with all its tools and merchandise toured Ireland recently to afford the end user an opportunity to learn about the febi product offering. Based on the concept of a giant sample case on wheels, febi ‘s initiative involves a van visiting workshops with the aim of raising awareness of product that is perceived to be dealer only, but is actually available in the aftermarket. 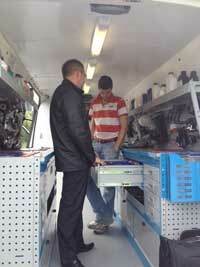 The febi van visited workshops all over the country and demonstrated the breadth and quality of febi ‘s product range. The product range on display included: electrical components, fluids, engine components, braking and steering and suspension.The most popular parts on the van are generally products that make the job of a technician easier, or the perceived ‘dealer only’ products (i.e 18802/03 BMW E46 complete wishbones/24082 Mercedes Sprinter column switchgear). 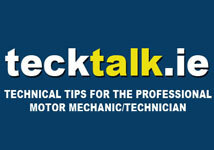 This awareness scheme ensures that Motor Factors and Workshops are familiar with the extensive product range on offer in the aftermarket. Ultimately, this means increasing sales of higher margin products and gaining ground on the dealer. Motor Factors of the future will not be able to survive on service parts and consumables, but will need to compete with the main dealers, not only on quality of the parts supplied, but also on the product range available to their customers, febi argues. Likewise, independent garages will need to professionalise their quality of service and parts­ and providing the correct part from a high quality aftermarket supplier will enable them to do just that without having to buy dealer parts. The workshop workouts are arranged with febi distributors and also include product trainingfor the sales staff at the branches, prior to visiting the garages. By demonstrating to he telesales staff in the branches ‘part by part’ which profit opportunities they miss out on by saying no to their customers, Motor Factors significantly reduce their lost sales.